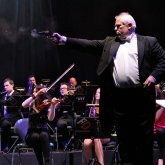 Philharmonic of Wit (Filharmonia Dowcipu) is a colourful Polish chamber orchestra which successfully combines virtuoso music and comedy to create its own unique style, transforming well-known classics into something fresh and enjoyable for all ages. This remarkable ensemble also remains true to the internationally celebrated Polish reputation for artistry. 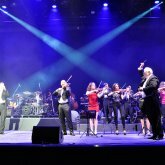 Philharmonic of Wit challenges the exclusive aura which typically surrounds classical music, breaking down boundaries and attracting a new and young audience by making masterpieces highly accessible, engaging and fun. We primarily target people with open minds and an appreciation of all types of music as well those looking for a good night out. 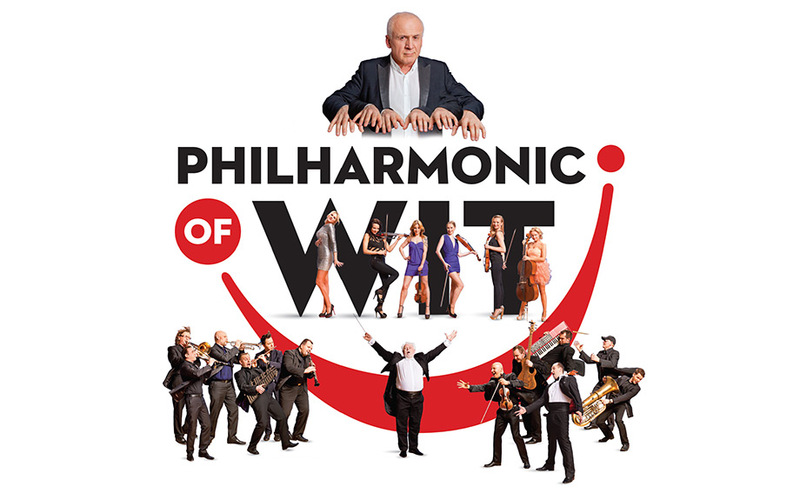 Philharmonic of Wit provides lively, smart and intelligent entertainment, featuring many familiar classics while also delivering a number of musical surprises. The complete ensemble comprises 21 artists and 10 technical / management staff. The company has over seven hours of stage material which is divided into a number of separate shows and can be specially tailored for specific markets. Philharmonic of Wit creates a powerful show that captivates the hearts and minds of present-day audience. 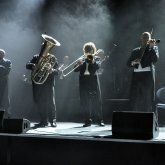 The essence of the show, however, is the humour interwoven with individual musical sketches creating surprising associations and conclusions delivered in stand up comedy and cabaret style. 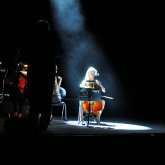 19 of Poland’s top musicians and 2 opera singers supported by a virtuoso pianist and ‘dancing’ conductor, deliver classical compositions many given a contemporary flavour thanks to a modern rhythm section and an unusual merger with jazz and pop music. Relying on the power of music, Philharmonic of Wit tackle some universal human issues including the hierarchical world of orchestras, sexism, politics and the media. Although the shows are not text dependent, they have spoken elements, which can be delivered in English, German, Spanish, Italian, French, and Russian. For all other languages we provide projected subtitles. 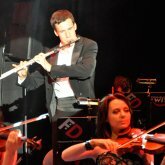 Since its launch 7 years ago Philharmonic of Wit has become very well-known to Polish audiences. In the last 4 years over 80,000 people have attended performances and each episode of the Philharmonic’s two TV series “What's Going On” was watched by between 2.8 - 5.5m viewers which equates to a 25% - 36% share of the television market in Poland. 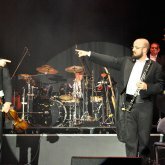 Philharmonic of Wit’s CD “Muzyka bez granic“ (Music Without Borders) and the DVD “Live in Warsaw” have bothachieved Gold Discs status. The Edinburgh Fringe is the biggest annual arts event in the world and is the largest gateway to the international performing arts market. Over 3,500 productions were presented to nearly 2m spectators. The Fringe also attracts over 2,000 promoters, producers and programmers of international festivals and receiving venues, as well as journalists and critics from around the world. 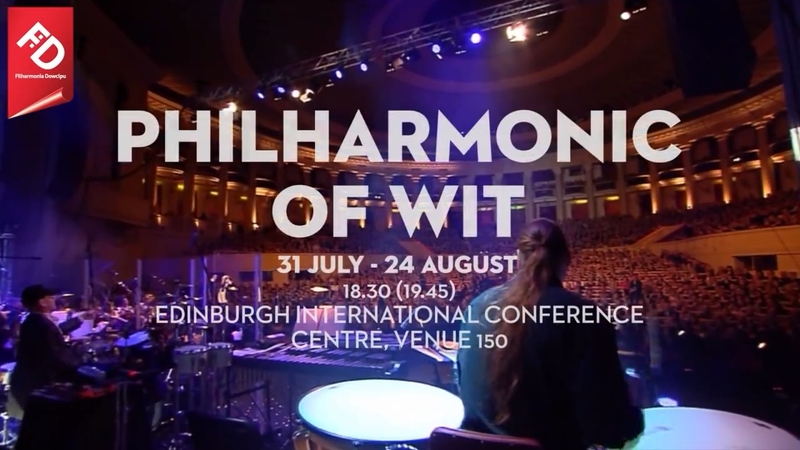 In August 2014 Philharmonic of Wit performed 24 performances at the Edinburgh International Conference Centre receiving standing ovations after each show. Thousands of spectators from around the world came to a version of Philharmonic of Wit which was especially prepared for the British audience and performed in English. It also included local references and Scottish music. 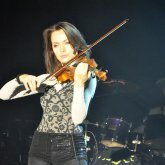 Performing at the Edinburgh Festival Fringe proved the uniqueness of Philharmonic of Wit and revealed its potential in the international marketplace. From the first performance journalists and critics rated it highly and placed the show on the “MUST SEE” list of the 25 best performances of the 2014 festival. The Philharmonic of Wit also attracted interest from foreign music and concert producers from China, Scandinavia and USA. We are aware that what is popular with, and familiar to, international audiences varies from country to country. To maximise local appeal and in collaboration with the promoter we can tailor the show’s humour so it relates to the country; we can do this for any country in the world. Philharmonic of Wit’s creators are ready to work with receiving presenters to prepare an appropriate version of the show to best suit the audience of that territory. Also, if desirable, we can involve local top quality musicians in our show. Jacek Kęcik - script-writer and TV and director. He trained at the University of Warsaw and at the world famous National Film Academy in Łódź. He wrote and directed a number of television comedies, sketch shows and programmes about literature, poetry and drama. For 10 years he worked in the advertising industry creating more than 300 commercials which won him 7 prestigious awards. Mr Kęcik has written and directed over 100 music videos for Poland’s most popular singers and bands. 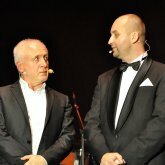 He also directed the Polish Song Festival in Opole and the International Song Festival in Sopot. He is the author and director of the highly successful Philharmonic of Wit TV series. He is an unconventional but extremely effective director who is obsessed with the artistic quality of his productions. 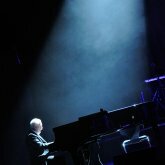 Waldemar Malicki is one of the best known and most versatile Polish pianists. He perfected his piano skills in Vienna and has performed in Europe, North and South America, Russia, and Japan. His discography includes nearly 40 CDs for labels such as Polton, Dux, Pavane (Belgium), Accord, Adda (France), Koch Records Schwann, Wergo (Germany), and Pony Canyon (Japan). He was awarded a Fryderyk, the Polish prestigious recording industry award, for his CD recordings of piano concertos of Bach, Wieniawski and Paderewski. Malicki’s recording of Karol Szymanowski’s works was hailed by the music media as the best studio album. Bernard Chmielarz, composer, arranger, conductor - trained at the Fryderyk Chopin Music University in Warsaw. He worked at the Polish National Radio Orchestra and for the National Philharmonic’s Symphony Orchestra. 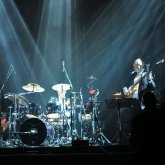 He has composed for key international and national events including five televised Sports Champions Galas and the 100th anniversary of Polish Cinema. Mr Chmielarz also orchestrated music by Kenji Kawai for the Polish-Japanese film Avalon. 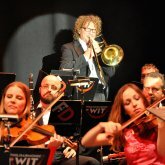 Since 2005 he has been the main Arranger, Composer and Conductor of Philharmonic of Wit. The production rider is available on request. Edinburgh Festival Advert. 30sec. Philaharmonic of Wit - Promo. 3min.